John Russell, the third son of the 6th Duke of Bedford, was born in London on 17th August, 1792. The Duke of Bedford supported parliamentary reform and along with Lord Grey, Richard Sheridan, Thomas Erskine and Samuel Whitbread was a member of the Society of Friends of the People. Before he inherited his title in 1802 the Duke of Bedford had been the MP for Tavistock. Russell suffered from poor health and after a short spell at Westminster School, he was educated at home. The Duke of Bedford encouraged his son to take an interest in politics and Russell, like his father, developed a sympathy for the poor. At the age of fourteen he wrote in his diary, "What a pity that he who steals a penny loaf should be hung, whilst he who steals thousands of the public money should be acquitted." In 1809 Russell went to Edinburgh University. Soon after he finished his studies in 1812 his father arranged for him to be elected to the family seat of Tavistock. He was also granted the courtesy title, Lord Russell. 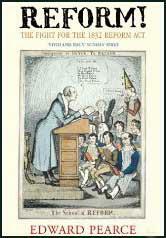 In the House of Commons Russell supported the Whigs and in 1817 he made a passionate speech against the decision by Lord Liverpool and his government to suspend Habeas Corpus. Russell also took an active part in the campaign for parliamentary reform. At the general election of 1820 Russell switched from Tavistock to Huntingdonshire. For the next twelve years Russell was the leader of the Whig campaign in the House of Commons for parliamentary reform. When he proposed the motion for an investigation into parliamentary representation in 1822, the motion was defeated by 105 votes. An attempt by Lord Russell to introduce a bill to reduce bribery at elections also ended in failure. In the general election of 1826 Russell was defeated at Huntingdonshire but in December of that year was returned for the Irish borough of Bandon. In February 1828 he proposed a bill that would repeal the Test and Corporation Acts. Russell was totally opposed to this law under which no Catholic or Protestant Non-conformist could hold public office. Supported by Robert Peel, Lord Palmerston and William Huskisson the bill was passed with a majority of forty-five. The following year Lord Russell led the successful campaign for the Catholic Relief Bill. As a result of these measures Catholic Emancipation was finally achieved. After the Duke of Wellington resigned in November 1830, Lord Grey formed a Whig administration. Russell was offered the post of postmaster-general. Grey also asked Russell to join a government committee to look into the need for parliamentary reform. Russell was also chosen to explain to the House of Commons the government's proposals for changing the electoral system. 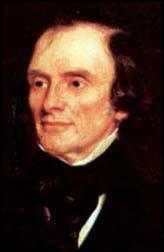 Lord Russell introduced the bill in the House of Commons in March 1831. After it was rejected by the House of Lords he reintroduced it on December 1831. 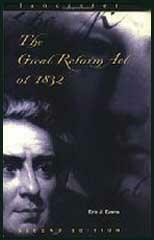 As a result of Lord Russell's perseverance the Reform Act was finally passed on 7th June, 1832. After the general election for the new reformed House of Commons, the Whig government had a majority of 315. Earl Grey and his colleagues were now in a position to try and introduce a series of reforms. Russell was one of the most important figures in this campaign for change. In 1834 he introduced the Dissenters' Marriage Bill and the Irish Tithe Bill. In November, 1834 Lord Althorp, the leader of the House of Commons, succeeded to the peerage on the death of his father. William IV objected when the post was offered to Lord Russell and took the opportunity to dismiss the Whig government. Sir Robert Peel was invited by the king to form a Tory government. Outnumbered by Whig MPs, Peel found the task very difficult and his government suffered several defeats in the House of Commons. After Peel lost a vote on 3rd March, 1835 concerning the Irish Church, he resigned and was replaced by Lord Melbourne as prime minister. Lord Russell became the Home Secretary in Melbourne's new Whig government. Russell's first reforming measure concerned the reform of local government. For many years most English towns had been under the control of a self-elected body of aldermen and councillors. Under the terms of the Municipal Corporations Act, these men now had to be elected by the whole body of ratepayers. In 1836 Lord Russell was responsible for several new reforms including the establishment of the civil registration of births, marriages, and deaths, and the legalisation of the marriage of dissenters in their own chapels. The following year Russell proposed a bill that would reduce the number of offences to which capital punishment was applicable. Russell also presented plans to reform the 1834 Poor Law but before these measures could be passed the death of William IV resulted in a dissolution of parliament. The subsequent general election resulted in Tory gains. Lord Melbourne's government remained in power but its reduced majority made it impossible for Russell to continue with his plans for parliamentary reform. Despite these difficulties Lord Russell was able to steer bills establishing reformatories for juvenile offenders and new Irish Poor Law through parliament. Lord Russell had for a long time been a advocate of reforming the Corn Laws. This eventually became the policy of Lord Melbourne's government. However, when the proposed changes were defeated by thirty-six votes on 18th May, 1841, the government resigned. The following general election resulted in Sir Robert Peel becoming prime minister. Although Lord Russell was opposed to most of Peel's policies, he fully supported his plans to reform the Corn Laws. In a speech he made on 22nd November 1845, Russell called for a total repeal of the corn laws. Peel was also coming to the same conclusion and with Whig support, the corn laws were finally abolished on 26th June 1846. When Sir Robert Peel resigned the following month, Lord Russell was asked to form a new government. Russell immediate problem was to deal with the potato famine in Ireland. Russell attempted to help by allocating £10 million to be spent on public works in Ireland. Russell also vigorously supported John Fielden in his campaign for factory reform. This resulted in the passing of the 1847 Factory Act. The following year he managed to persuade parliament to accept his government's Public Health Act that gave municipalities powers to set up local boards of health. In December 1851 Lord Russell sacked his foreign minister, Lord Palmerston, after he had recognised the government formed by Napoleon III in France without consulting with his fellow cabinet ministers. Palmerston gained revenge by proposing an amendment to the Militia Bill that was carried by eleven votes. As a result of this defeat Russell resigned and was replaced by the Earl of Derby. Russell returned to the government when Lord Aberdeen became prime minister in 1852. In December Russell brought before the cabinet a new parliamentary reform bill. Many members of the cabinet, including Lord Palmerston, disagreed with the measure and threatened to resign. Disappointed by the lack of support from his colleagues, Russell decided to leave office. For the next four years Russell concentrated on writing books about his political hero, Charles Fox. His books published during this period included Memorials and Letters of Fox (1853) and Life and Times of Fox (1859). In 1859 Russell became foreign secretary in Lord Palmerston's government. The following year Russell introduced a new parliamentary reform act into the House of Commons. The bill which included reducing the qualification for the franchise to £10 in the counties to £6 in towns was not supported by Lord Palmerston and did not become law. In July 1861 he was raised to the peerage as Earl Russell. He continued to hold the office of foreign secretary and when Lord Palmerston died in October, 1865, Russell once again became prime minister. One of his first decisions was to try again to persuade parliament to accept the parliamentary reform proposals that had been rejected in 1860. The majority of the MPs in the House of Commons were still opposed to further reform and after the government was defeated on a vote on 18th June 1866, Earl Russell resigned. After leaving office Russell continued to attend the House of Lords where he supported and voted for the 1867 Parliamentary Reform Act. He was also one of the main campaigners for the 1870 Education Act. Earl Russell died on 28th May 1878. Lord John Russell began his speech at six o'clock. Never shall I forget the astonishment of my neighbours as he developed his plan. Indeed, all the House seemed perfectly astounded; and when he read the long list of the boroughs to be either wholly or partially disfranchised there was a sort of wild ironical laughter. Baring Wall turned to me, said, 'They are mad! they are mad!' and others made use of similar expressions - all but Sir Robert Peel; he looked serious and angry. Lord Russell seemed rather to play with the fears of his audience; and, after detailing some clauses which seemed to complete the scheme, smiled and paused, and said, 'More yet.' When Lord John sat down, we (the Radicals) cheered long and loud; although there was hardly one of us that believed such a scheme could, by any possibility, become law of the land. (2) Charles Sumner described a speech by Lord Russell in the House of Commons in 1838. Lord John Russell rose in my mind the more I listened to him. In person diminutive and rickety, he wriggled round, played with his hat, and seemed unable to to dispose of his hands or his feet; his voice was small and thin, but notwithstanding this, a house of five hundred members was hushed to catch his smallest accents. You listened, and you felt that you had heard a man of mind, of thought, and of moral elevation. (3) Princess Lieven to his brother Alexander, 2nd March, 1831. I was absolutely stupefied when I learnt the extent of the Reform Bill. The most absolutely secrecy has been maintained on the subject until the last moment. It is said that the House of Commons was quite taken by surprise; the Whigs are astonished, the Radicals delighted, the Tories indignant. This was the first impression of Lord John Russell's speech, who was entrusted with explaining the Government Bill. I have had neither the time nor the courage to read it. Its leading features have scared me completely: 168 members are unseated, sixty boroughs disfranchised, eight more members allotted to London and proportionately to the large towns and counties, the total number of members reduced by sixty or more. Lord Russell spoke for rather more than two hours. A more noble and convincing plea for Reform had not been heard for many years within the walls of the House. It stamped him as a statesman, an orator, and a patriot. Now that the Reform Act has reached its consummation, I suggest the exertion of your powerful influence to set immediately on a penny subscription, for the purpose of erecting a triumphal arch in Hyde Park. A statue of William the Reformer surmounting the elevation, supported by the figures of Lords Grey, Brougham, Althorp and Russell, would be a noble monument of a great and generous peoples' gratitude, to hand down to posterity - to endless time.